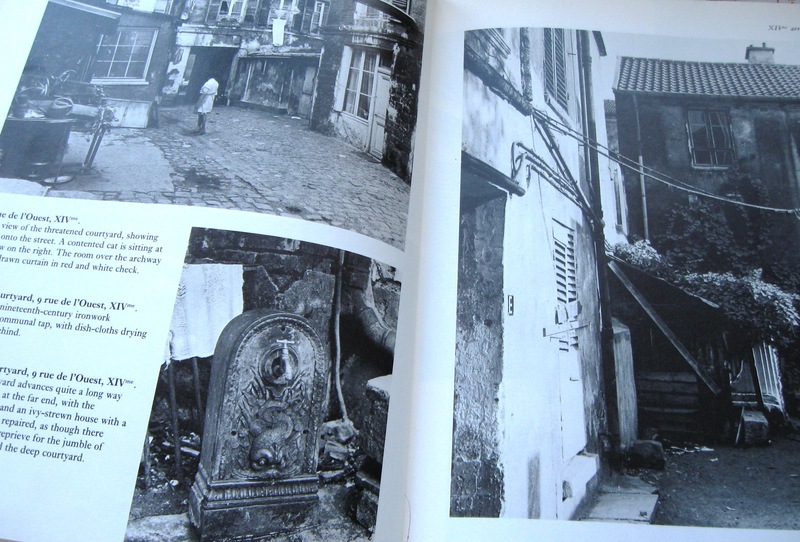 Last night I fell asleep reading historian and flâneur Richard Cobb’s Paris and Elsewhere. I woke up the morning with the book still in the sheets. I found out about Richard Cobb in 1988 or so when I checked The Streets of Paris out of the University of Iowa library. The book is a collaboration with photographer Nicholas Breach, and I admit when I first got the book, it was the photographs I pored over. 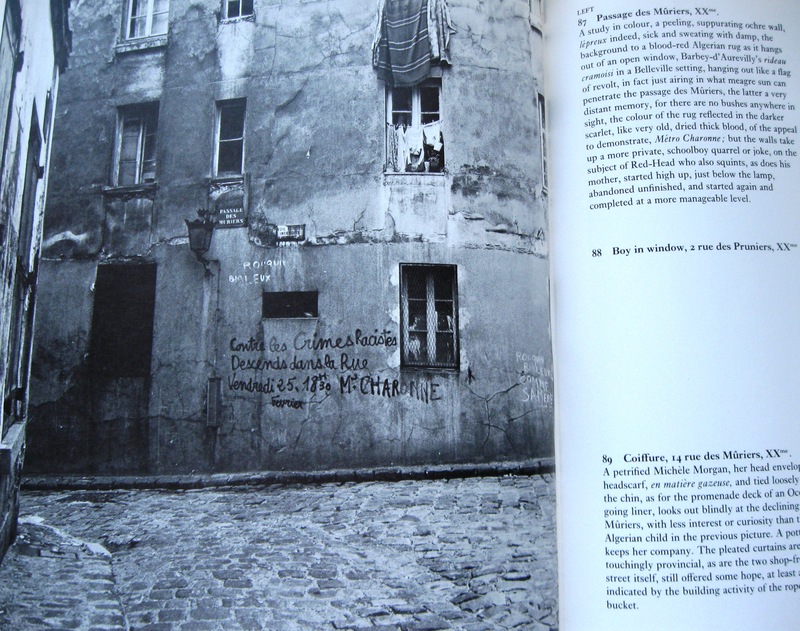 Breach photographed out-of-the-way courtyards and entryways, shopfronts of “old” Paris, decaying walls, and everyday citizens, including prostitutes, workers, children and cats. However, it took me just a time or two through the book to realize that Richard Cobb’s text was as illuminating as the photographs (if not more so), and just one thorough reading to realize that Cobb’s words were the driving force of the book. Richard Cobb gives the reader the Paris he spent a lifetime loving, and that he knew as a lover. He found a way to put his love into prose that is simple and dense and urgent all at the same time. I could read him forever. Or at least I’ve been reading him for the past 26 years. And my favorite way to read his books is with my chin propped up on my pillows in bed, book out in front of me. Sometimes I only make it through a few pages until sleep overcomes me. I don’t think that’s a bad thing—I go into a state of reverie when I read his prose, trying to take in all he says with my senses and my intellect. I feel personally connected to Richard Cobb in the same way I feel connected to Manet. Maybe it’s presumptuous of me to claim that, but I don’t know how else to talk about people I think about on a daily basis (Manet), or with whom I spend such intense time thinking and feeling (Richard Cobb). I spent last night with Richard Cobb. It won’t be the last night I spend with him. And yes, I’m bragging.